Hackintoshing is easy today this is what sites like Lifehacker and tonymacx86 claim. But when u look on the details there are problems. Some things can be changed by major kext and dsdt edits, but these needs knowledge and open hardware. 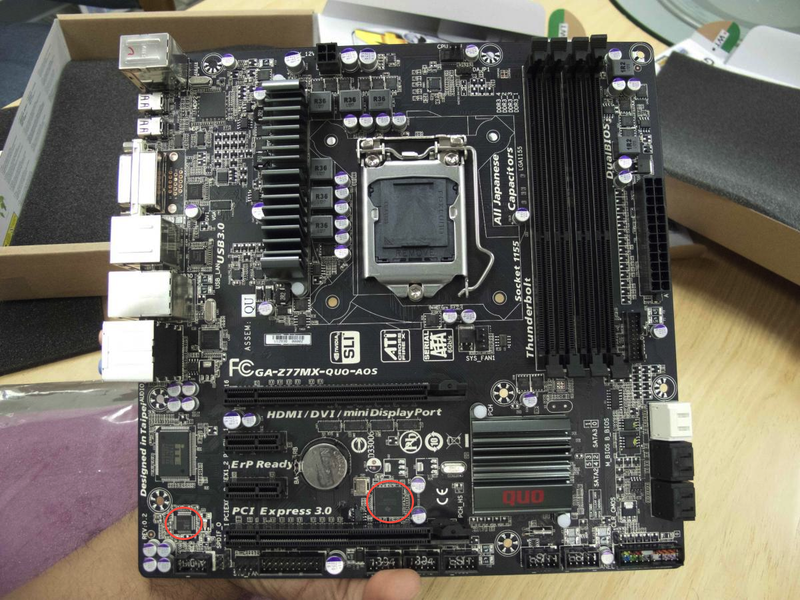 One the one hand gigabyte claims there boards as hackintosh friendly but uses VIA sound chips. Also still latest board include ports a chip nobody needs like 3th-party USB 3, VGA, PS2 ports, cheap ethernet chips. On Asus boards the firmware prohibits proper power management on macs. As it looks right now the motherboard still needs FakeSMC to boot MAC OS X, if the announced integrated bootloader might change this is unknown. But it looks like there is no smc-hardware. ⇒ So a special motherboard but not a mac. You can Back the Project on Kickstarter to support further developments of special motherboards. Update: Already founded! over 100k raised so far! 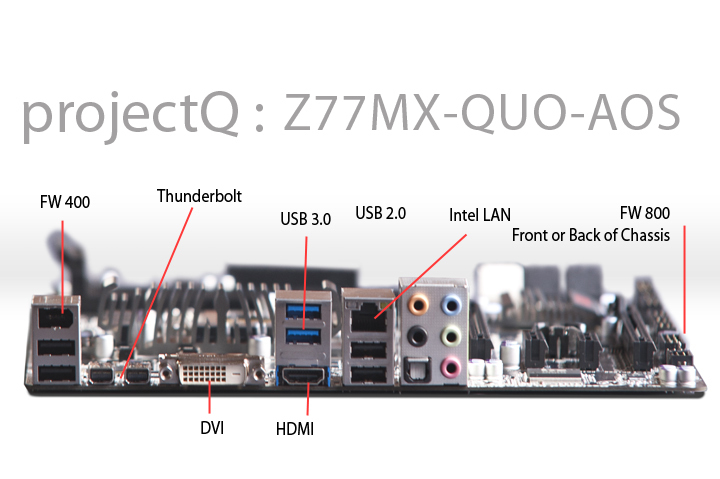 This entry was posted in Hackintosh and tagged firewire, hackintosh, intel-lan, motherbord, QuoComputer, thunderbolt, Z77MX-QUO-AOS. Bookmark the permalink.